Williams, including its assets held through Williams Partners L.P., is an energy infrastructure company focused on connecting North America’s significant hydrocarbon resource plays to growing markets for natural gas, natural gas liquids (NGLs), and olefins. Williams’ operations range from the deep water Gulf of Mexico to the Canadian oil sands. The company owns and operates midstream gathering and processing assets, and interstate natural gas pipelines. In addition, Williams processes oil sands off-gas and produces olefins for petrochemical feedstocks. Williams’ headquarters are in Tulsa. Other major offices are in Houston, Texas, Pittsburgh, Oklahoma City, Salt Lake City, and Calgary. Williams was founded in 1908, and employs more than 6,700 people. The company’s primary talent needs are for operations technicians at the mid-career stage – five or more years of experience. Skills and qualifications for those roles include: mechanical, electronics, maintenance, gas compression, measurement systems, instrumentation control, technical evaluation, and safety. Veterans played a key role in the history of Williams. Three second-generation members of the founding family served in World War II. Charlie Williams was in the United States Army Corps of Engineers; he supervised the construction of airfields, pipelines, and roads in the China-Burma-India theater. Charlie’s brother John was with the Navy Civil Engineering Corps; he served in the Pacific theater, including Iwo Jima. Charlie and John’s cousin David Williams, Jr., was a fighter pilot with the 8th Air Force of the Army Air Corps. He flew missions over Nazi-controlled Europe. Shortly after returning home, the three men took on the task of rebuilding the company. Currently, veterans make up about 10 percent of the Williams workforce. One of the company’s strongest supporters of veteran hiring is Doyle R. (Bud) Rains, who joined the company in 1990, and has been director – construction management – for three years. Continuing to learn has always been important to Edwards. “In the military, I received a vast amount of classroom and hands-on training in the mechanical field,” he said. “My training and job history involved situations that could potentially injure or kill a person if I wasn’t aware of my surroundings and the activities of everyone else working on the aircraft. I came to Williams with the ability to understand schematics, maintenance instructions, and the importance of proper documentation. I had also gained knowledge of hazardous materials, industrial equipment, and the techniques and programs that are common to OSHA that help to mitigate the hazards of working in these situations. “Also, my experience dealing with extensively damaged aircraft allowed me to think outside the box. Scenarios would arise that had not been dealt with before. I would have to formulate a plan to make the work environment safe while also adhering to maintenance instructions and safety. During such experiences, I learned that sometimes one must pause to ensure that safety is being put first.” A sharp focus has been important to Edwards’ career in and out of the military. “Attention to detail is the most important aspect I can carry over,” he said. “We are all aware that there are hazardous associated with the job. However, if one maintains attention to detail, then the foreseeable situations can be avoided and the work completed in a safe manner. “I would also say that the fact that the job has to be completed, regardless of the difficulties, plays an important factor. In the military, we routinely moved supplies – as was often said, the beans and bullets – to the front-line troops. Supplies that they needed to complete their job. We knew that it was imperative to overcome any obstacle so the supplies could be moved. While there is no magic bullet when it comes to veterans getting jobs after the military, there is a lot available to them when it comes to post-military employment. “One of the most important pieces of advice is that there is no one-stop shopping when it comes to help that is offered to veterans,” said Edwards. “The veteran has to take the responsibility to search out the assistance opportunities. Having a quick and concise personal sales pitch is also key. “An important piece of advice was to have a strong ‘elevator pitch,’ he said. “They told me to imagine I entered an elevator with someone that could get me my dream job, I only had 30 seconds until the doors reopened and I had to sell myself. I practiced my pitch so that it was second nature; I wanted to get across my work history, skills, and personality in a short time so that they would want to ask me for my resume. Edwards advises veteran job seekers to seek out feedback. “I started my job search well in advance,” he said. “I applied for many positions through the job fairs and personal research, and I received quite a few callbacks. I had several interviews for positions that needed to be filled before I was available. However, I used the opportunity to ask for feedback on my interview and find ways to improve how I came across. In each case, the HR personnel were more than happy to offer advice on both my weakness and strengths. Partner with your transition office to start your move as early as possible. Too often, I have spoken with veterans who were surprised by the amount of time it took to transition. Planning for your transition early will make the move much easier. Remember that not everyone who will read your resume is a veteran. Your resume will not get you a job, but you definitely want it to get you an interview. Remove all of the military jargon and lingo from your resume. You do not want to get overlooked simply because a recruiter or hiring manager does not understand what knowledge, skills, or abilities you bring to the table. 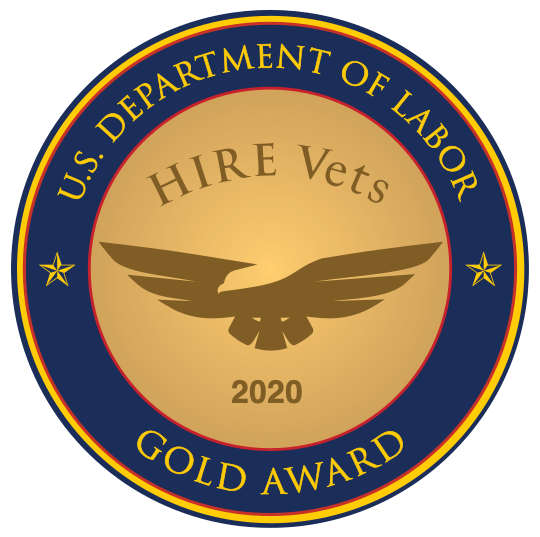 Search for companies that are committed to hiring veterans. Many companies want to hire veterans, but simply do not have the expertise or resources to do it. Expect there to be a learning curve when reading certain job descriptions. If you never have worked in a particular industry, you likely will not have detailed knowledge when entering that industry. Network, network, network. And try to connect with hiring managers and recruiters for companies you are targeting. If they cannot personally help you, they can, at least, point you in the right direction. Do not be afraid to sell yourself. In the military, you are usually not accustomed to discussing your personal accomplishments; you are more accustomed to touting your team’s accomplishments. It is totally different in the private sector. You will need to be able to communicate succinctly how the skills you obtained in the military can benefit a potential employer. To do this, you will need to be able to discuss easily your skills and accomplishments while in the military. Have realistic expectations about salary. Understand that salaries are structured differently in the private sector versus the military. Before you pursue a particular career, make sure you research the salary for that job. Ensure that it fits into your or your family’s budget. Interested in a Energy job? Use our job board to find one!